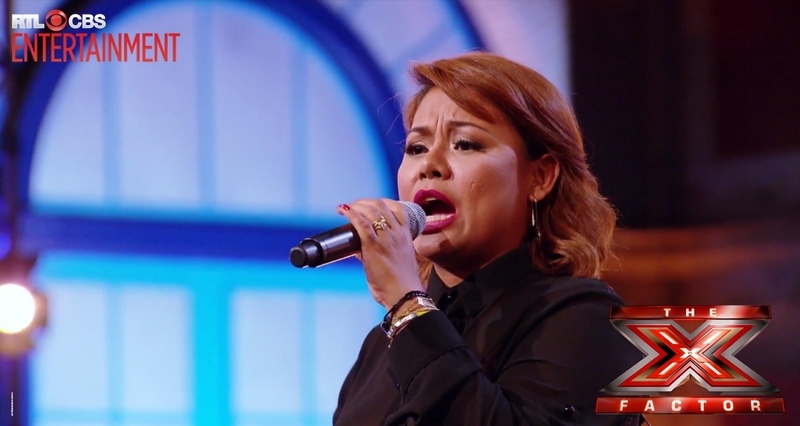 Filipina singer, Ivy Grace Paredes, 33, from Malaybalay, Bukidnon survives this week’s Boot Camp on The X Factor UK after performing Mariah Carey’s hit, One Sweet Day, with Mike Hough and Lascel Wood in the Overs Category. Ivy Grace now moves on to the Six Chair Challenge that starts next week where she will compete with other acts in the Overs category. The Six Chair Challenge will whittle down each category to just six acts each. In today’s show, it was revealed which groups the judges would be mentoring. Simon Cowell got the Girls, Nicole Scherzinger the Boys, Sharon Osbourne the Overs and Louis Walsh got the Groups. It can be remembered that in episode 6 last week of The X Factor UK Ivy Grace impressed all four judges in the first audition with her rendition of Whitney Houston’s All The Man I Need. Cowell said that her performance was more than amazing and thought the second half was incredible and that she had somehow been possessed. Ivy Grace believes that The X Factor UK is the biggest competition that could give her the stepping stone she needs to do good in the future. She has 2 ½-year-old daughter who is under the care of her parents in the Philippines. RTL CBS Entertainment is available on SkyCable channels 53(SD) and 196(HD), Destiny Cable channel 53, Dream Satellite channel 17 and Cablelink channels 37(SD), 313 and 800(HD). RTL CBS Asia Entertainment Network is a venture of two of the world’s largest content producers: RTL Group, the leading European entertainment network, and CBS Studios International, the leading supplier of programming to the international market place. The Network has two channels: the general entertainment channel, RTL CBS Entertainment and the male-skewed entertainment channel, RTL CBS Extreme. Both channels are widely distributed in the Asia Pacific and are localized in five languages.